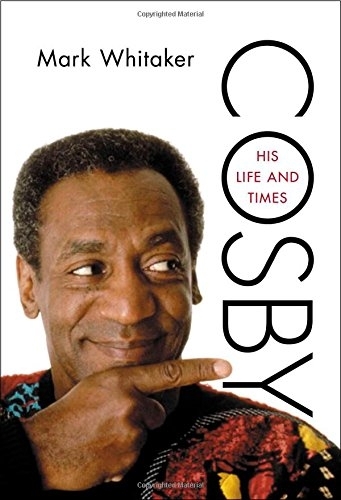 The first major biography of an American icon, comedian Bill Cosby. Based on extensive research and in-depth interviews with Cosby and more than sixty of his closest friends and associates, it is a frank, fun and fascinating account of his life and historic legacy. Far from the gentle worlds of his routines or TV shows, Cosby grew up in a Philadelphia housing project, the son of an alcoholic, largely absent father and a loving but overworked mother. With novelistic detail, award winning journalist Mark Whitaker tells the story of how, after dropping out of high school, Cosby turned his life around by joining the Navy, talking his way into college, and seizing his first breaks as a stand-up comedian. Published on the 30th anniversary of The Cosby Show, the book reveals the behind-the-scenes story of that groundbreaking sitcom as well as Cosby’s bestselling albums, breakout role on I Spy, and pioneering place in children’s TV. But it also deals with professional setbacks and personal dramas, from an affair that sparked public scandal to the murder of his only son, and the private influence of his wife of fifty years, Camille Cosby. Whitaker explores the roots of Cosby’s controversial stands on race, as well as “the Cosby effect” that helped pave the way for a black president. For any fan of Bill Cosby’s work, and any student of American television, comedy, or social history, Cosby: His Life and Times is an essential read. Mark Whitaker is the former Managing Editor of CNN, Washington bureau chief for NBC News and reporter and editor at Newsweek magazine, where he rose to become the first African-American to lead a national newsweekly. His critically acclaimed family memoir, “My Long Trip Home,” tells the story of his parents–a star-crossed interracial couple who married in the 1950s–and his grandparents, black undertakers from Pittsburgh and French Protestants who helped hide thousands of Jews from the Nazis during World War II. His latest book, “Cosby: His Life and Times,” is the first major biography of an American icon, comedian Bill Cosby. Whitaker lives in New York City with his wife, journalist and educator Alexis Gelber, and they have two adult children, Rachel and Matthew.